Managing the productivity of your work is a crucial component of any work regardless of whether one is working alone in a project or as a team. Whether it is organizing your task list, real time collaboration or procuring the list among the computer systems or the mobile handsets, an online task management tool can effectively take care of all these tasks. These tools can be really productive for managing daily task list within small team. In case you are looking for a better collaboration software you must check out list of useful collaboration tools.. The users using this tool can access their tasks through their Gmail IDs, through the browsers in their mobiles, iGoogle and Google calender. Every time a user receives an email, one can click on the option "Add to tasks" and it gets converted to a to-do task. The website Nirvana is still under construction and is in its Beta version. It helps to organize tasks through follow-up emails, assigning task to the concerned contacts and by setting up email reminders of pending to-do list. However it does not have team collaborative tools. Flow is a site for online task management usually recommended for a team because of its collaborative features. Using Float, not only a project member can create different tasks but can assign a due date for them individually; they can even organize all the tasks into the project. If one requires a tool which will manage tasks on a daily basis and help a manager in getting things done, HiTask is perfect. It has a good user interface and calendar with the task area in the centre. One can track the progress of the project using this tool. Using this site, one can get notifications to remind the project stakeholders of which actions were delegated along with the due date of completion. One can use this site to delegate or assign the project tasks; it also comes with a message board for the team. The site comes with many advanced task management features such as managing the due dates for each task as well as arranging the tasks in terms of their priorities. The user can also mail the tasks in his Remember the Milk account. The website is a collaborative task management tool with shared workspaces with useful tools such as attachment of file, calendar, notes and many more tools to manage all the tasks in a proper manner. Moreover, a feature called ‘Hot Task’ helps to rank the tasks in order of their priorities. This is another tool which manages the tasks by grouping them on the basis of actions, dates and priorities. The objective of this tool is getting things done. It can email actionable items directly to the user's mailbox. It comes with a very user-friendly interface as well. 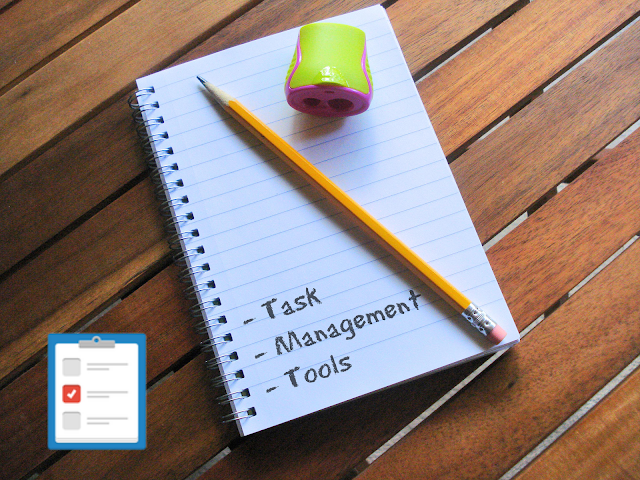 This is one of the most popular, if not the most popular and user-friendly online task management tool around. You can view your documents as Zoho docs, Microsoft Excel or Google docs. It offers seamless collaboration across multiple platforms too. Todoist is a site with similar features like To-Do Ly, but has more functions compared to To-Do Ly. Here the tasks can have features like sub tasks with deadlines and priorities attached to them. Such tasks can be also set which are repeatable in nature. Voo2do is a website through which one can manage all the tasks by deadlines and priorities. Tasks can be grouped into projects and can be published. The member can also review which tasks got done. It is possible to add the tasks through emails and publish the task lists. Cozi is a task management tool which targets the small groups for those to-dos which are shared. There is a shared calendar tool which helps to track the milestones. Multiple users can share the same work space, thereby allowing the group to track each other’s tasks too. This is one of the most popular online collaboration tool available online. A shared to do list, a calendar which come as a shared tool, a facility of chatting privately, and milestones. Several reputed companies are using this online tool. This website helps in getting things done. It has tools to manage tasks by specifying actions and projects. Action lists can be printed and can be exported in the user's RSS reader and can be viewed in the iCal calendar easily too. It has a very user friendly interface. This website helps to get things done very easily and makes life very simple for the users. One can create projects and tasks and sub tasks using this site. The site has a very user friendly interface and allows creation of sub-projects.